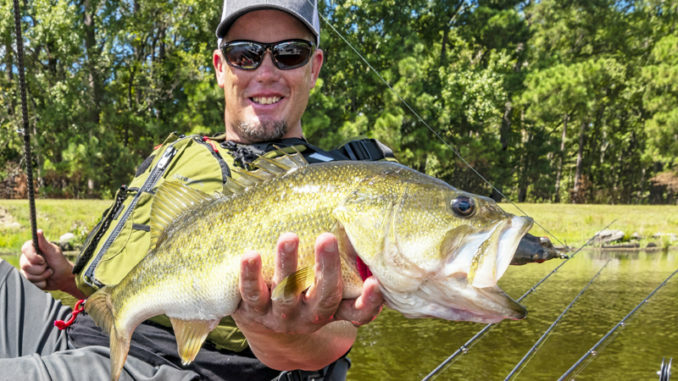 Bassmaster Elite Series pro Keith Combs has to put fish in the boat year round, but he experiences what every other angler does during the summer: Tough fishing, when five bites a day are what you hope for. 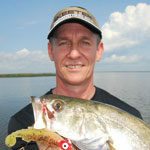 This Texas angler said shad move into shallow water again, and predatory bass follow. However, there’s also another baitfish we anglers often forget. His rod of choice is a 7-foot, 5-inch Shimano Zodias heavy-action rod matched with a Curado K 7.3:1 reel. 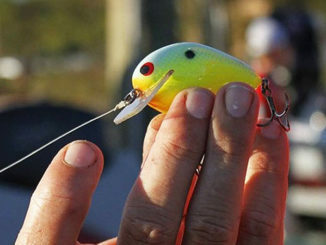 This is another lure that allows him to cover water and catch numbers of actively feeding bass. 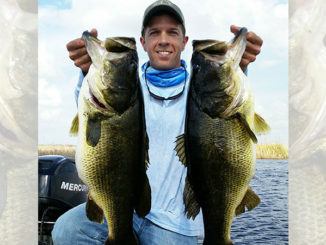 He fishes his swim jigs on a 7-foot, 2-inch Shimano Zodias medium-heavy rod with a fast tip paired with a Curado K reel. “Some days, it’s a great followup to your frog,” he said. 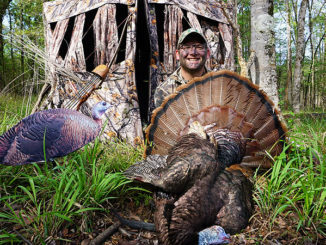 He rigs it with a 3/16-ounce, 4/0 Owner weighted hook, and just casts and retrieves. Well, that’s what he does most of the time.